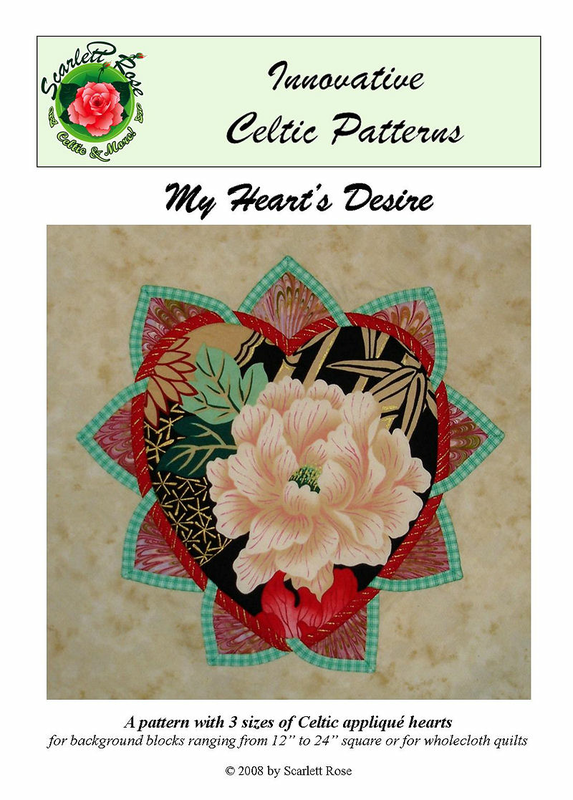 An innovative Celtic applique block design by Scarlett Rose with three sizes of Celtic hearts to use in making your own unique Celtic quilt. 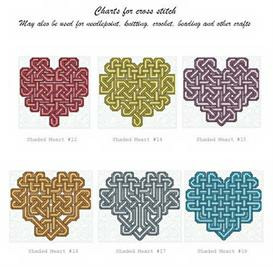 These applique designs will fit on background blocks ranging from 12" square for the small heart, up to 24" square for the large heart. Use almost any large scale print to make a special theme quilt! For example, choose a fabric printed with butterflies, cranes, geishas, cats, zoo animals, cowboys, clowns or flower bouquets. There are so many wonderful large scale prints to choose from! 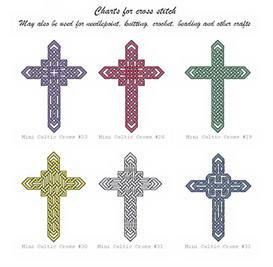 For the small size heart, the desired printed area of fabric is needs to be approximately 6 1/2" square, for the medium size heart at least 7 1/2" square and for the large heart at least 9 1/2" square. Consider using inkjet printed pictures for a family history quilt, a wedding or anniversary quilt or as any other kind of remembrance or special occasion quilt. 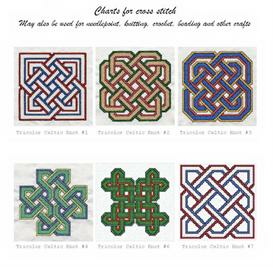 Since you will make your own quilt layout for this block, try a traditional block setting straight, on point, with a lattice or with alternate plain blocks. Design your own medallion quilt, perhaps mixing this block with other applique or pieced blocks of your choice.